Jimmy Kennedy’s mother Anna Baskin was an Ardara lady. Born and bred here, she married the local constable Joseph Kennedy in the church of Ireland in 1901. 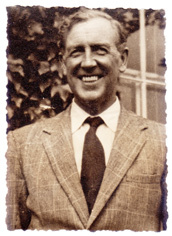 Subsequently, her husband was transferred to Omagh, where Jimmy Kennedy was born in 1902. Jimmy was a world famous composer of music and one of the most successful songwriters of all time. He had more hits in the USA than anyone until Lennon and McCartney. His hits included ‘South of the Border‘, ‘Red Sail in the Sunset‘, ‘Isle of Capri‘, ‘The Prayer‘ and ‘The Hokey Pokey’. The date of the festival coincides with St. Valentine’s Weekend. We will also celebrate the great poet, storyteller and general character Packie Manus Byrne. He would be celebrating his 101st birthday on the 18th but sadly he passed away a couple of years ago and as a community we want to keep his memory alive. We will be running a major song contest which will pay homage to the Jimmy Kennedy theme of love songs. it will celebrate the art of lyrics and love on the weekend of Valentine’s. Entries cost €20, payable with postal order or bank draft, and there is a €1000 prize for first place and a certificate for the winner of the inaugural South of the Border weekend Contest. Top class judges will be selecting the top 6 entries and will be inviting them to attend the festival, where the winner will be selected. If you have any queries you can e-mail lyricardara@gmail.com or frankiegalligan@gmail.com. Closing Date for entries is 30th January 2018. The weekend will also include storytelling or recitations on a similar theme to Bard of Armagh. A wonderful Song Contest for amateur composers with 1st Prize of €1000.00 Remembering the songs of Jimmy Kennedy & stories of Packie Manus Byrne. Open Session of Music & Storytelling in all pubs. Children Storytelling in the afternoon with Liz Weir at 3pm in the Hotel. The Jimmy Kennedy Concert at 8.00 pm in the Hotel. The Stories & Recitations of Packie Manus Byrne at 10.00 pm in the Beehive. The Song Contest at 3.00 pm in the Hotel with €1000 for the winner. This competition is strictly for new comers and every effort will be made to make this an outstanding event.